Fpdc together – yarn over, insert yarn behind st to the right of the hook, pull hook back, yarn over, pull through two loops, yarn over, insert yarn behind st to the left of the hook, pull hook back, yarn over pull through two loops, yarn over, pull through three loops. From top left to right rounds 1&2, 3, 4, middle row rounds 5, 6, bottom row rounds 7, 8 and first round of squaring off. Happy Crocheting! 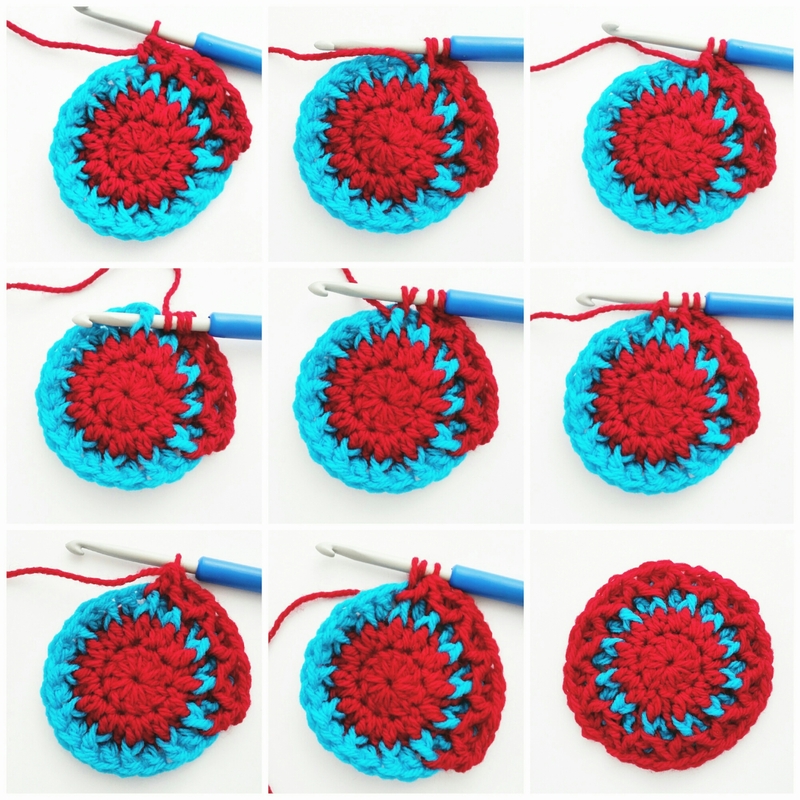 Remember I’d love to see what you make #theloopystitch #kaleidoscopegranny on Instagram. Have a lovely night, I’m off to bed, I can feel restless legs and heartburn coming… argh lol. It looks amazing!!! I love it! Hi Kylie I will see if I can take a few more photos for you. Hi Kylie I have added a step by step photo which I hope will help.